More than 20 countries have agreed to take part in the 2016 International Army Games competition, Russian Defense Minister Sergei Shoigu said Tuesday. MOSCOW (Sputnik) — According to Shoigu, the defense ministry has invited 47 states to take part in the competition.The 2016 International Army Games are expected to be run from July 30 until August 13. “A decision has been made to extend the scope [of the competition] by increasing the number of contests from 13 to 23. The number of participants will be increased significantly… As of today, 21 states have already agreed to send their teams to International Army Games,” the minister said. The first International Army Games competition, was held in August 2015, and attracted more than 2,000 participants from 17 countries. Some 11 different locations across Russia hosted elements of the contest. Vladimir Gutenev, a senior Russian lawmaker, stated that Swiss lawmakers were keenly interested in the terms and principles of a competition between tank crews and the ability to use their combat vehicles. 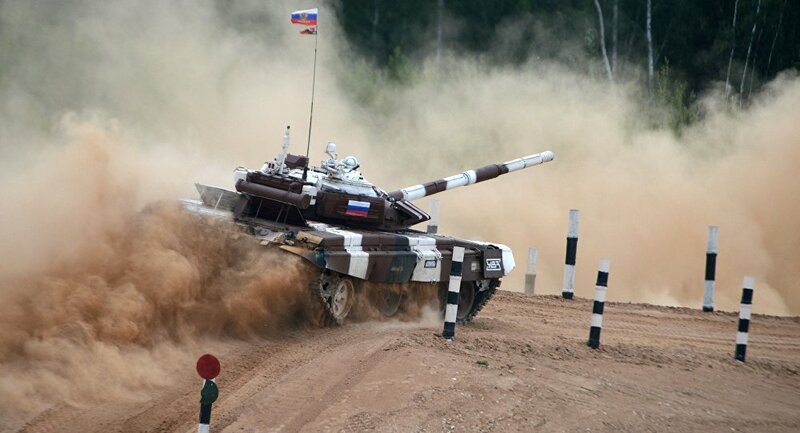 Swiss lawmakers have expressed interest in crews from their military taking part in Russian tank biathlon championships, a senior Russian lawmaker overseeing communications with the Swiss parliament said Monday. Vladimir Gutenev recounted a Switzerland-Russia friendship group meeting where the countries’ lawmakers discussed inter-regional cooperation and environmental protection, including recycling industrial and household waste, cooperating in innovations and training innovative industry personnel. “[Swiss] lawmakers were keenly interested in the terms and principles of a competition between tank crews and the ability to use their combat vehicles. The meeting with [our] Swiss colleagues resulted in an agreement for us to ask our military agency to invite Swiss crews to take part in the tank biathlon,” Gutenev told reporters. Commander-in-Chief of the Russian Land Forces Col. Gen. Oleg Salyukov has previously said that teams from 46 countries had been invited to take part in six International Army Games land forces competitions this year. One of the contests includes the so-called Tank Biathlon.